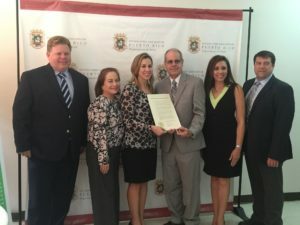 This first ever event was officially opened by the secretary of Health of Puerto Rico who formally declared April as being the official month of Primary Immunodeficiency in the country. In attendance were many physicians, representatives of the government and of the pharmaceutical industry and of course many APIP members. For the second WPIW event, APIP brought together its members and their families for a get-together that took place on the 23rd of April. The main focus of the event was to educate both adults and children on treatments and health matters but also on health insurance procedures. We benefited from the help of Dr Richard Morales who guided us on the medical insurances issues and Prof Aixa Flores who is an infirmary teacher and informed the audience on the importance of hygiene habits for PID patients as well as key precautions when taking care of medicines. The members and families event featured a lunch and a game of bowling! 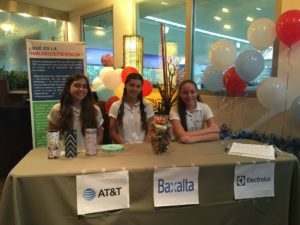 APIP wishes to thank all the volunteers who helped participants to register and organised fun games for the children as well as its sponsors (Baxalta Pharmacies, Coca-Cola, Pfizer, Electrolux, AT&T, El Nuevo Día Newspapers and El Vocero Newspapers) for helping the event come to life. 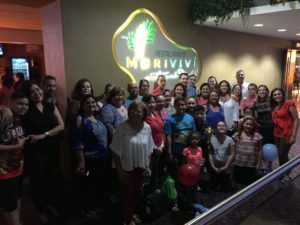 Patients and their families enjoying some time together.